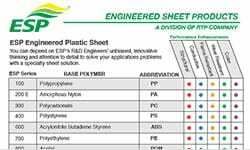 Engineered Sheet Products™ (ESP™), a division of RTP Company, manufactures specialty engineered thermoplastic sheet in a variety of sizes and thicknesses. ESP™ provides custom extruded sheet in a variety of sizing capabilities for your thermoform, machined or flat stock needs. If optical cast sheet is your preference, we offer two unique products known commercially as PSS-3000 and PSS-1000. 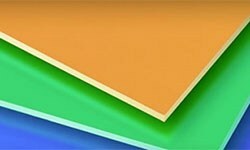 Learn about our custom extruded sheet product offerings. Experts are increasingly turning to solid state nuclear track detectors (SSNTDs) to measure radon concentration.